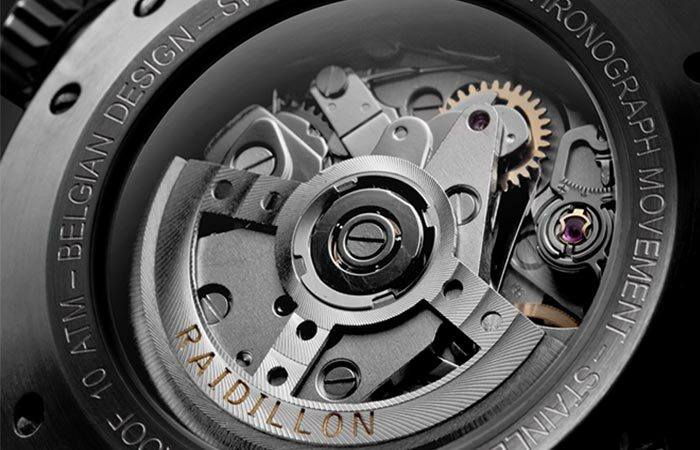 Raidillon has made a name for themselves by creating limited edition timepieces like no other. They exude class, style and a sense of personality of their own and their latest, the Raidillon Timeless 42 Chronograph brings us a mixture of modern style with a touch of old school classic. It truly is timeless. 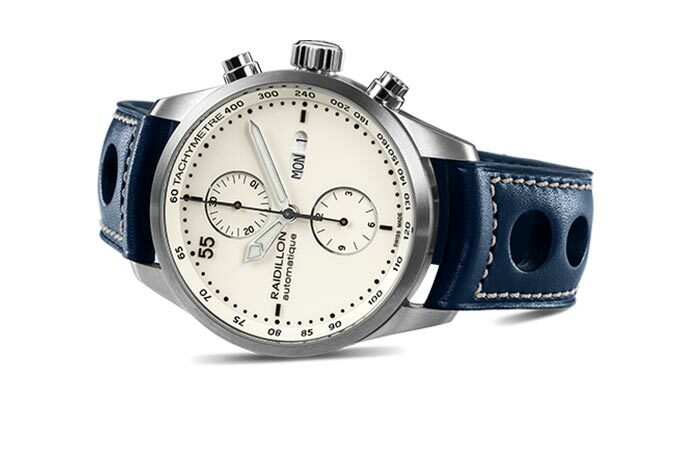 Coming from the Raidillon Timeless family, the 42 Chronograph is a watch built for the man with a plan. A sublime and precise mixture between modern design and old school style, the Raidillon 42 Chronograph delivers on quality. Starting with the dial, the 42 Chronograph features a vanilla dial face with a black 55 minute design. To augment the watch itself and the way that you count time, the dial also features a chronograph hour counter at 6 o’clock and a minute counter at 12 o’clock while 3 o’clock has been designated for day and date display. As an extension of time itself, the 42 Chronograph features a separate hour and minute dial at 6 and 12 o’clock while 3 o’clock has been designated for easy day/date viewing. The case is 42 millimeters in diameter and constructed from 316L surgical stainless steel. To make the watch even more unique, Raidillon included a sapphire glass transparent back that has been affixed with 7 screws and displays the beautiful intricacies of the inner workings of the Raidillon Timeless 42 Chronograph. The crown has been engraved and stamped with the number “55” as a limited edition signature since there are only 55 in existence and the two push buttons feature a Clou de Paris pattern. 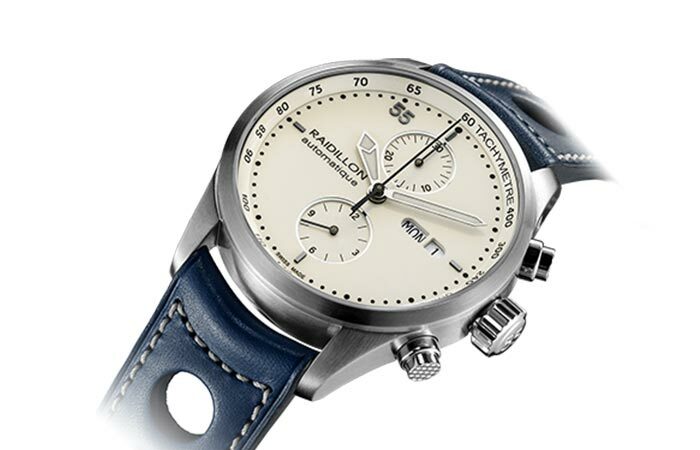 To top it off, the 42 Chronograph comes with a water resistance of 10 ATM and also comes with a 5-year warranty. However, this amazing piece of timekeeping art will set you back a cool 2,990 Euros. The sapphire glass transparent back allows you to view the delicate and subtle machinery that drives the 42 Chronograph in a way like no other.